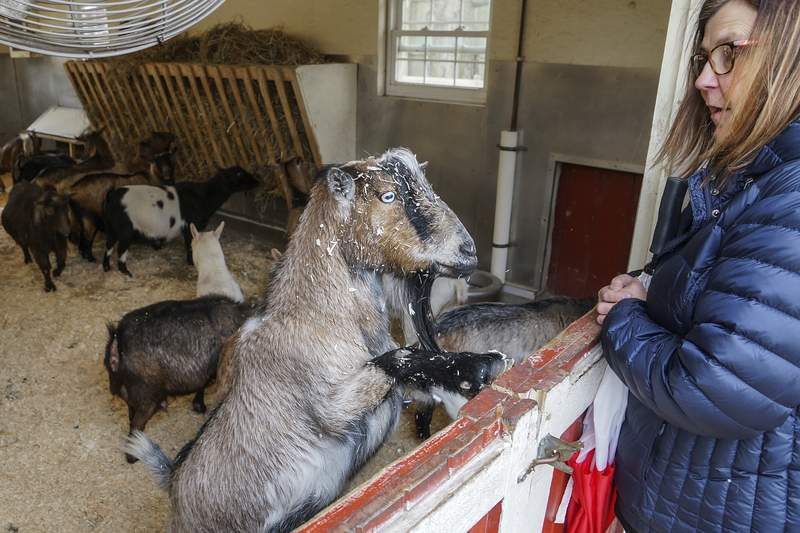 Mike Moore | The Journal Gazette Director of Communication Bonnie Kemp asks a friendly goat if it is ready for the zoo to open while touring the Indiana Family Farm at the Fort Wayne Children's Zoo on Friday. The Children's Zoo opens for the season on April 27. 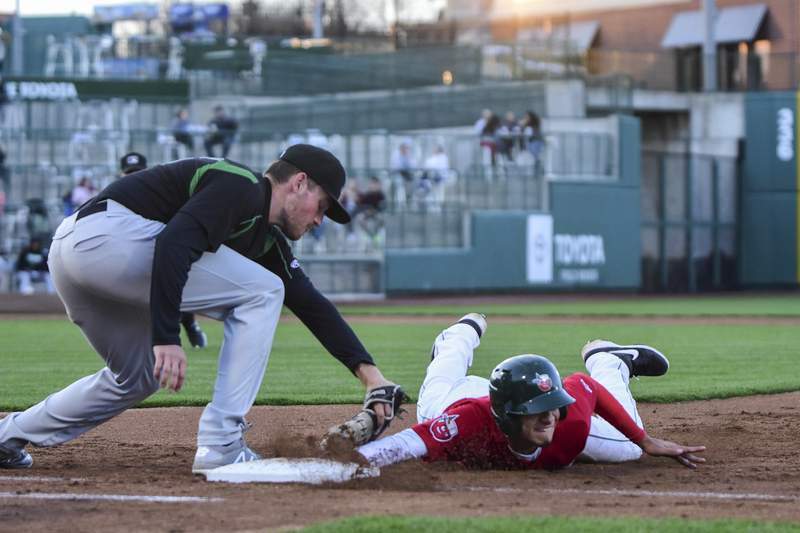 Mike Moore | The Journal Gazette TinCaps short stop Tucupita Marcano dives for first base while Dayton first baseman Bren Spillane reaches for the tag in the third inning at Parkview Field on Tuesday. 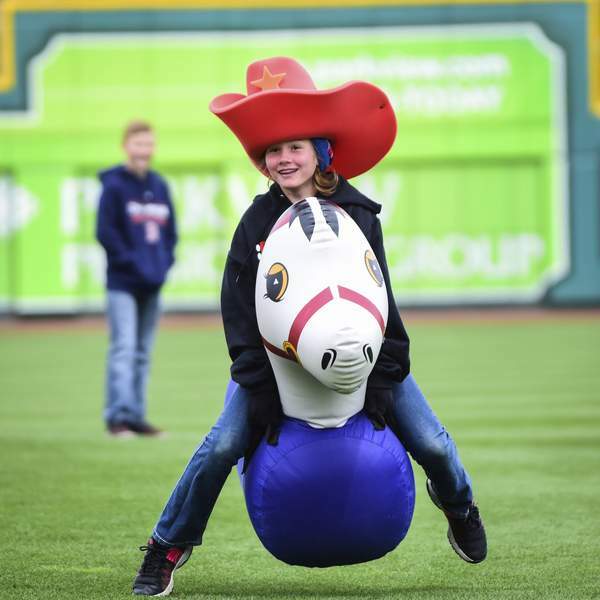 Mike Moore | The Journal Gazette Prairie Heights fifth grader Mya Wilhelm bounces across mid-field while racing classmates on inflatable horses between innings at Parkview Field on Wednesday. 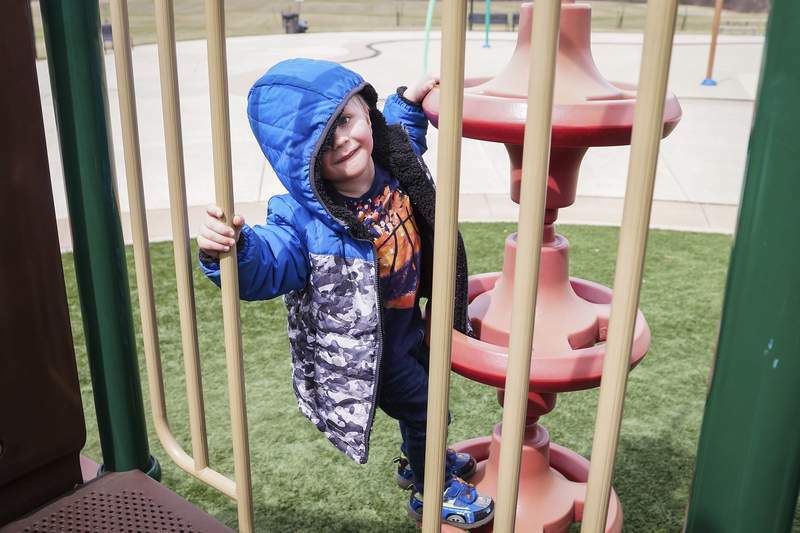 Mike Moore | The Journal Gazette Three-year-old Jacob Gildner cautiously clings to the railing before stepping onto the jungle gym while climbing at Buckner Park on Thursday. 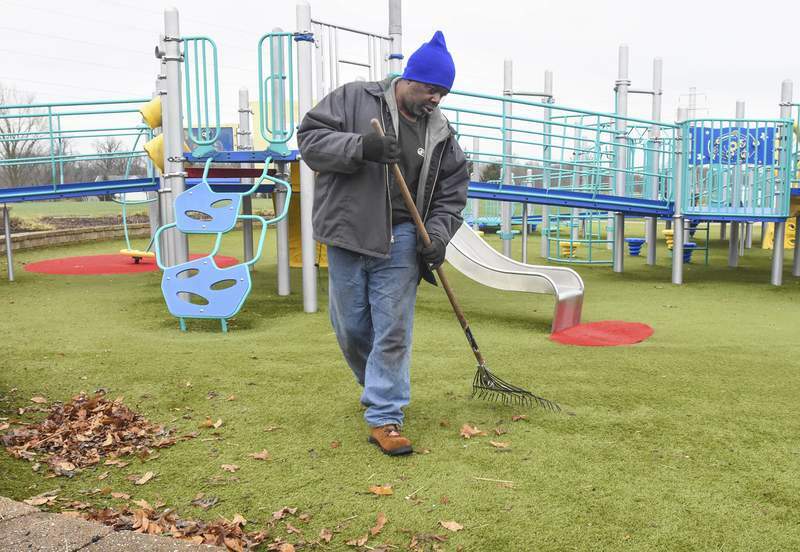 Michelle Davies | The Journal Gazette Derek Nelson, landscaper with Leeper's Lawn Service, works on cleaning up Taylor's Dream playground at Kreager Park Monday morning. 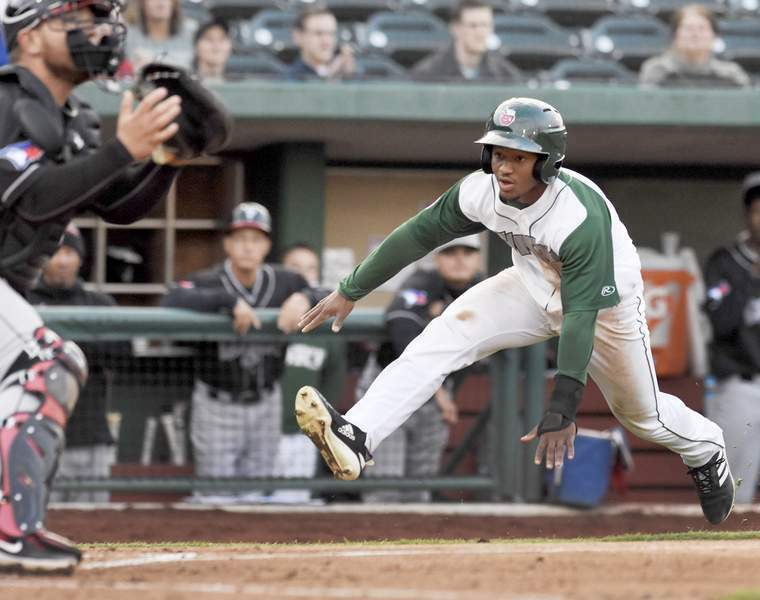 Rachel Von | The Journal Gazette TinCaps' Xavier Edwards slides into home plate as Lugnuts' catcher Alejandro Kirk covers the base during the first inning at Parkview Field on Friday. 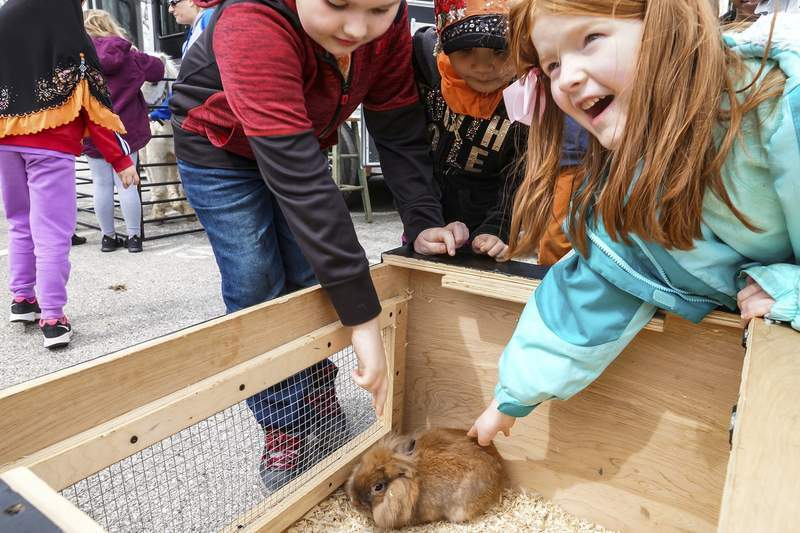 Mike Moore | The Journal Gazette First grader Trixie Desforges, right, is surprised to feel how soft Butterscotch the bunny is during a Career Day Extravaganza at Southwick Elementary School on Friday. 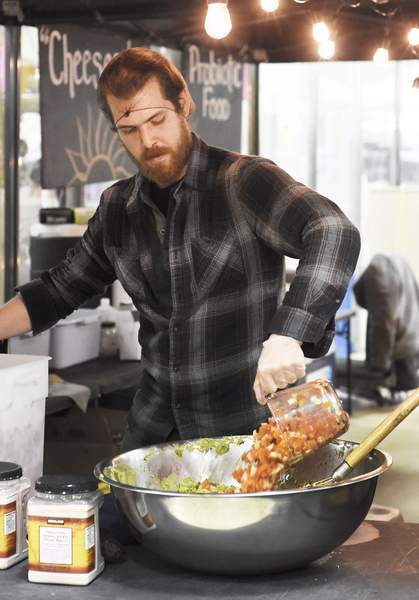 Rachel Von | The Journal Gazette Philippe Carroll with Young Urban Homesteaders works on making guacamole during the Gypsy Soul Vintage Market at The Plex North on Saturday. 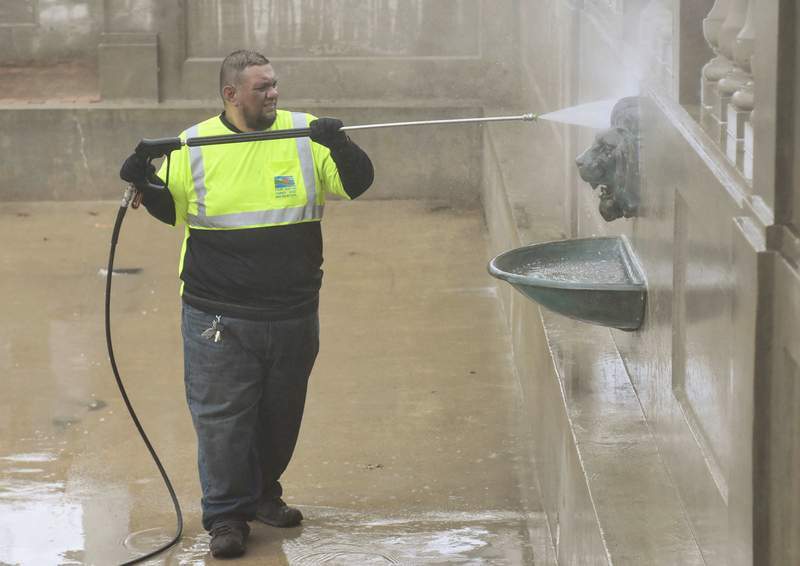 Michelle Davies | The Journal Gazette Ronnie Rivas, relief in facilities with Fort Wayne Parks, pressure washes the reflecting pools at Lakeside Park Friday morning. 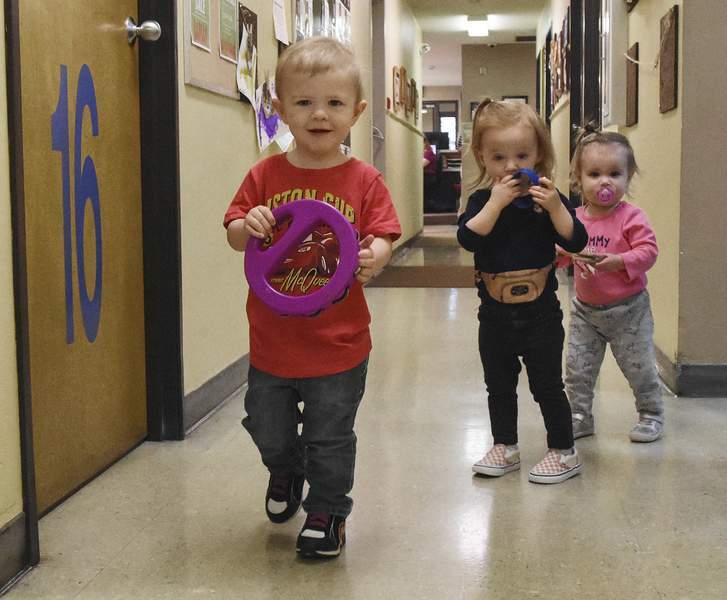 Michelle Davies | The Journal Gazette In celebration of the Week of the Young Child, Wyatt McKinley, 22 months, leads a musical parade around The Learning Community with Sophia Stuby, 20 months, center, and Ada Shirley, 15 months, playing accompaniment Monday morning. 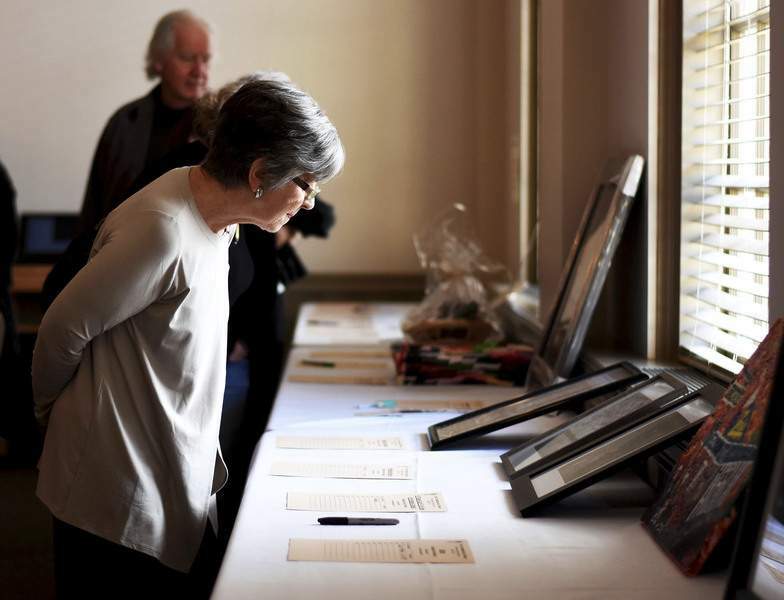 Katie Fyfe | The Journal Gazette The First Presbyterian Church celebrates the First Presbyterian Theater’s 50th Anniversary with dinner, a silent auction and a show at the First Presbyterian Theater in Fort Wayne on Saturday. 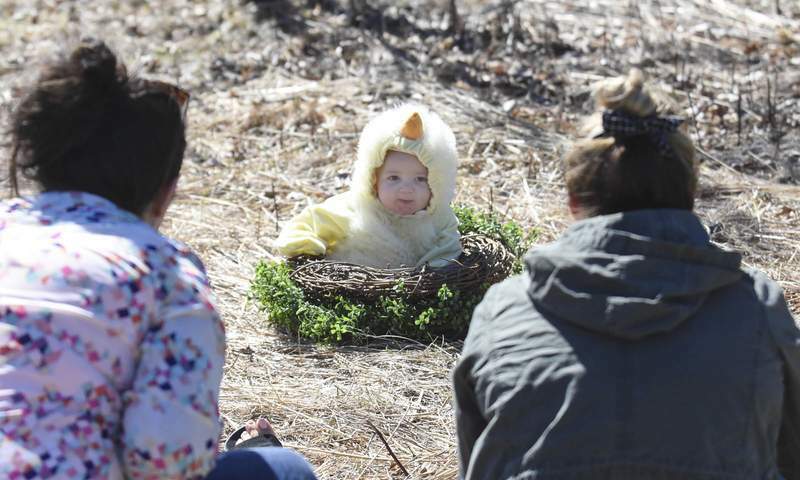 Michelle Davies | The Journal Gazette Theo Kaiser, 6 months, of Eden, Ohio, smiles at his mother, Danon Kaiser, left, and photographer Bethanie Thielke, right, with Real Living Photography, as she takes his Easter picture Tuesday morning at Salomon Farm Park. 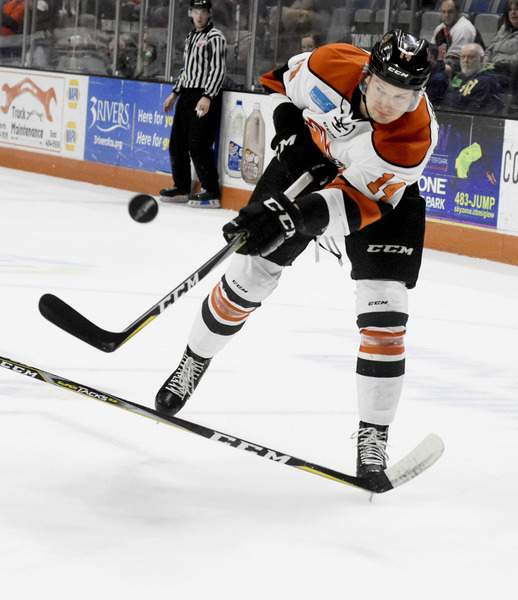 Rachel Von | The Journal Gazette The Komets' Kyle Hope hits the puck during the first period against the Nailers at the Memorial Coliseum on Sunday. Mike Moore | The Journal Gazette Friends of the River project chairperson Irene Walters poses with a decorated canoe paddle Monday at the Community Foundation of Greater Fort Wayne after launching Paddles Away, a community art project designed to create interest in river projects and promote river recreation while raising funds to support student field trips aboard the Sweet Breeze canal boat. 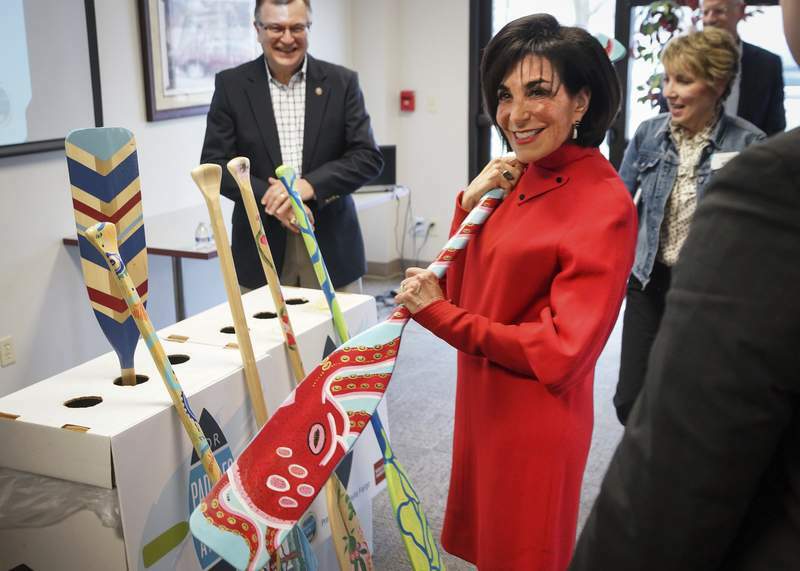 With standard canoe paddles as a canvas, artists are asked to submit designs to be sponsored by area businesses and then re-created on wooden paddles that will be displayed during World Rivers Day at Promenade Park on September 29. 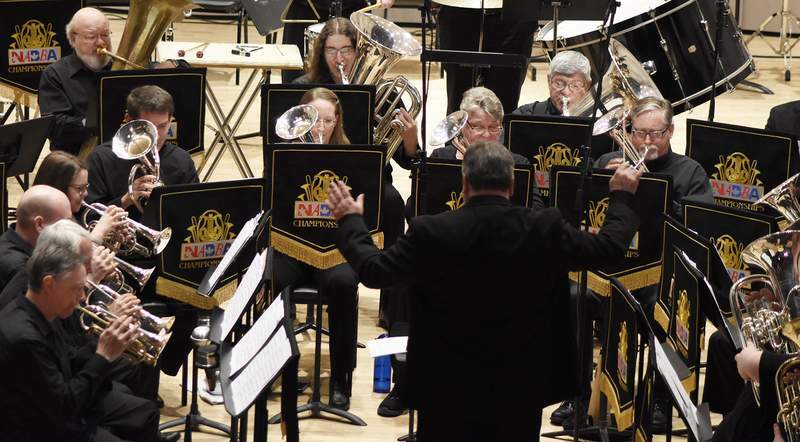 Rachel Von | The Journal Gazette Members of the Old Crown Brass Band from Fort Wayne perform during The North American Brass Band Association annual championship on Saturday. 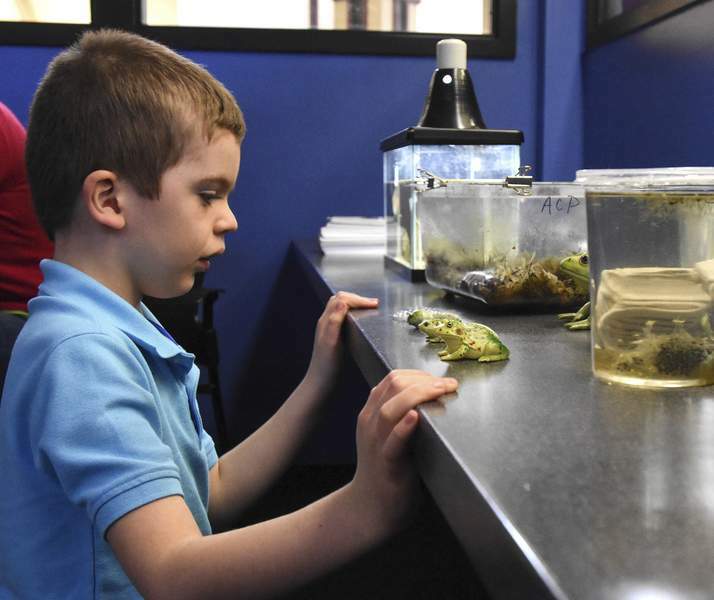 Michelle Davies | The Journal Gazette Patrick Vlagea, 6, studies samples at Monday's Pond Life class presented by the Allen County Parks at the New Haven branch of the Allen County Public Library. 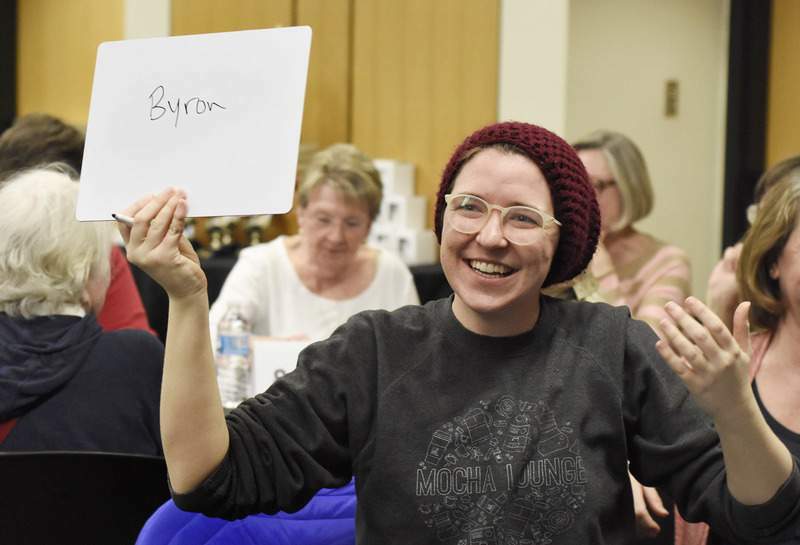 Rachel Von | The Journal Gazette Tara Olivero with team "We So Lit" is all smiles as she lifts up the answer for her team during the 2nd annual Book Bowl at the downtown branch of the Allen County Public Library on Sunday. 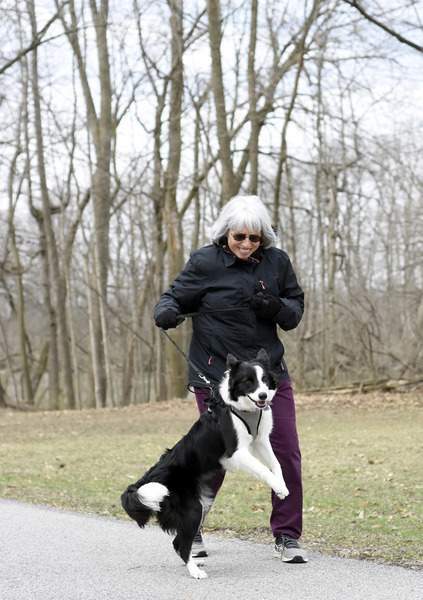 Rachel Von | The Journal Gazette Jan Rainey walks her dog Scout, an 8-month-old border collie, at Shoaff Park during a windy day Thursday. 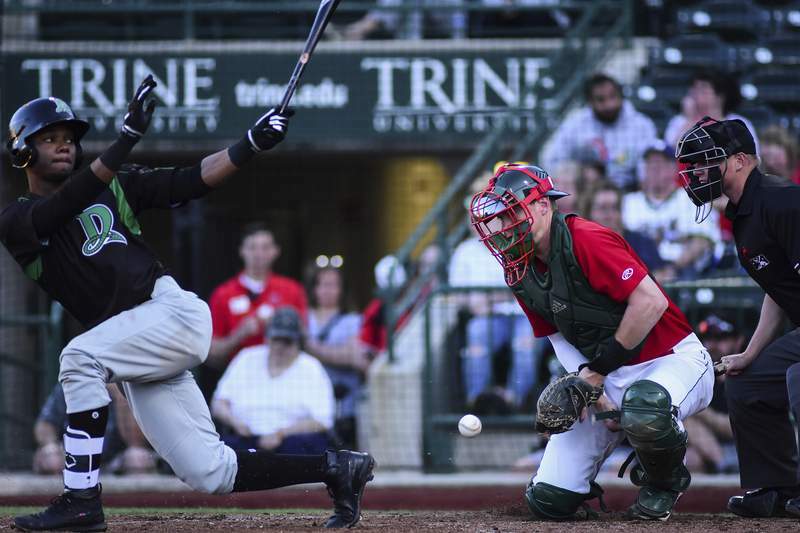 Mike Moore | The Journal Gazette TinCaps catcher Blake Hunt drops a pitch intended for Dragons infielder Jonathan Willems in the third inning at Parkview Field on Monday. Mike Moore | The Journal Gazette Jackson Coats rides the rails while skating at Lawton Skate Park on Wednesday. 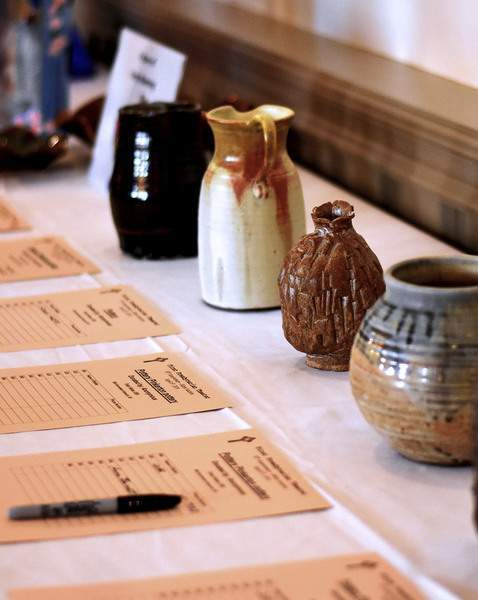 Katie Fyfe | The Journal Gazette Joyce Sines looks at some of the auction items during the First Presbyterian Theater’s 50th Anniversary dinner, silent auction and show at the First Presbyterian Theater in Fort Wayne on Saturday. 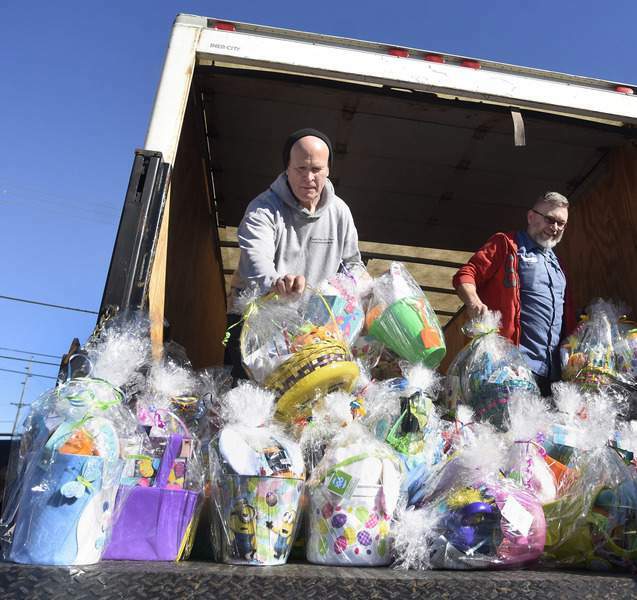 Rachel Von | The Journal Gazette Tim Price, left, and John Radawski along with Joe Harkins (not pictured) from the University of Saint Francis work on unloading Spring Baskets to SCAN Inc. on Tuesday. The collection of spring baskets is something that SCAN Inc. has done for over 10 years and it's a community effort. This year the first big drop-off of baskets was from the University of Saint Francis, which included 750 spring baskets. Typically SCAN gets around 1,200 spring baskets that will go towards children and families the organization serves. 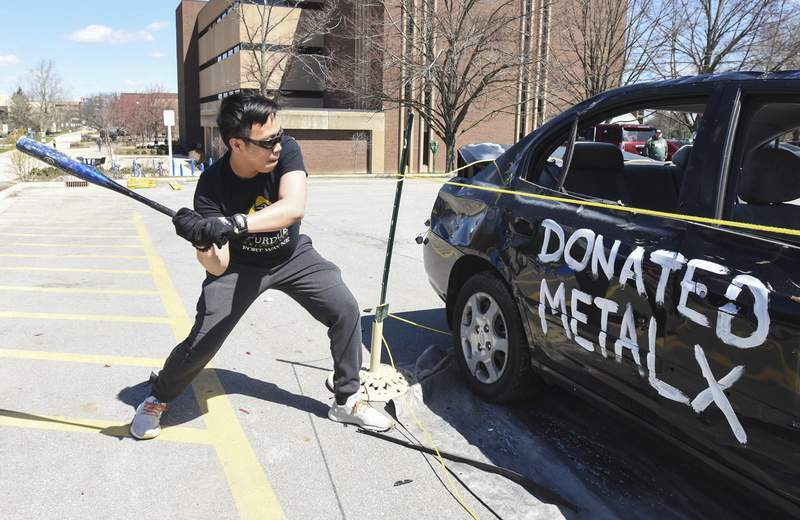 Michelle Davies | The Journal Gazette Quan Luong, of Fort Wayne, takes a swing at a car during Car Smash Tuesday afternoon at Purdue Fort Wayne. The car, part of a Senior Project by Kayla Beck, was one of two that students could destroy with a donation that went to The Pantry at the university. Photos from Staff Photographers of the Journal Gazette taken in the week ending on Friday April 12, 2019.